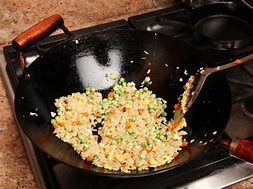 According to scientists the best way to cook fried rice is to toss it in a wok like a pancake every third of a second! Mechanical engineers at Georgia Institute of Technology have discovered that the secret to perfect stir-fry is by using a wok technique that involves two motions - pulling the pan towards you before pushing it away, and a 'seesaw' motion to tilt it backwards and forwards. This should be done rapidly every 0.32 seconds, without ever moving the wok from the stove. The 'boffins' at the Institute worked out the physics of a stir-fry, by filming two Taiwanese chefs with more than 20 years experience of cooking stir-fry dishes and their findings could be used to programme a new generation of cooking robots to make egg-fried rice in the future. 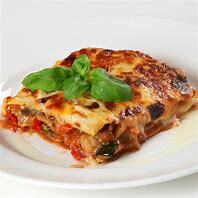 This might also help the 60 per cent of Asia cooks who every year suffer with muscular problems in their shoulders from cooking with a wok. Sadly, the findings will dismay me and you who prefer the lazy way to cook the stir-fry, leaving the wok for minutes at a time with only the occasional stirring!